When shopping for a retirement plan advisor, they might advertise quite a few credentials. However, one of the most important concepts to understand is the difference between a 3(21) and a 3(38) investment advisor. Let’s look at the features of both and how it can impact your business’s retirement planning process. A 3(21) financial advisor must be aligned with ERISA fiduciary standards and share fiduciary liability with you, the plan sponsor. In this scenario, you have the final say regarding plan assets, while the investment advisor is liable for the advice they give to you. This may be ideal if you prefer to have more control and have a firm grasp on your fiduciary responsibilities. 3(38) investment advisors assume all of the fiduciary liability when it comes to picking investments and keeping track of their progress. The only part that falls on a plan sponsor’s shoulders is the selection of the advisor and making sure they’re doing their job. This means plan sponsors can spend more time focusing on the other duties of their position and less time keeping track of the plan. 3(38) advisors are still required to abide by ERISA. In case you’re not sure what we’re talking about, let’s take a look at ERISA and what it means. The Employee Retirement Income Security Act of 1974 was created to protect participants and beneficiaries against unethical practices in plan design and execution. This means that anyone that doesn’t follow the code of conduct is liable for any losses associated with the plan and could be forced to pay that amount back. Only three types of retirement plans are not covered under ERISA: government, church, and foreign employee retirement accounts. As more litigation and regulatory scrutiny involving fiduciaries comes to the forefront, it’s becoming much more difficult for plan sponsors to remain compliant. By hiring a competent retirement plan advisor you can delegate investment liabilities which receiving a dedicated professional to help navigate the plan’s design. Securities offered by LPL Financial, member FINRA/SIPC. Investment advisory services offered through WhartonHill Advisors, a registered investment advisor and separate entity from LPL Financial. The LPL Financial Registered Representatives associated with this site may only discuss or transact business with residents of the following states: (AZ, CA, CO, CT, DE, FL, IL, IN, KY, MA, MD, MI, NJ, NM, NV, NY, OH, PA, SC, TX, VA). 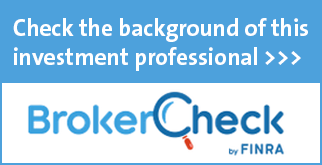 Check the background of investment professionals associated with this website on FINRA's BrokerCheck.